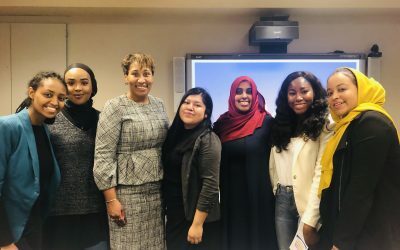 With the long-term goal of making our government truly representative of our communities, this paid internship program opens access to the Minnesota State Capitol to the next generation of leaders of color. Through this program, interns build relationships with established policy leaders, gain exposure to various kinds of careers in government, get real-world experience in career fields they would like to learn more about, and build a strong professional resume in the process. Learn about this year’s cohort, host organizations, and alumni mentors. The 2019 cohort includes 34 students from 12 schools around the state. > Click for bios of this year’s cohort (pdf). Capitol Pathways host organizations include government offices, nonprofits, corporations, and law firms that work in and around Minnesota’s Capitol. 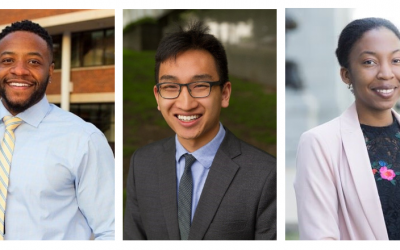 Three alumni mentors provide support, coaching, and advising to the student cohort. > Click here to meet this year’s mentors. 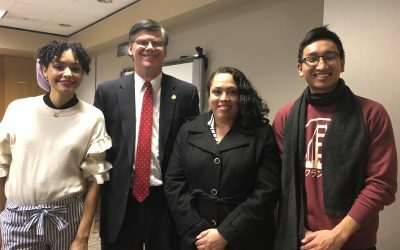 Twin Cities PBS has covered Capitol Pathways since the beginning of the program in 2016, interviewing participants during their internship and alumni as they continue their careers in policy. Watch below.